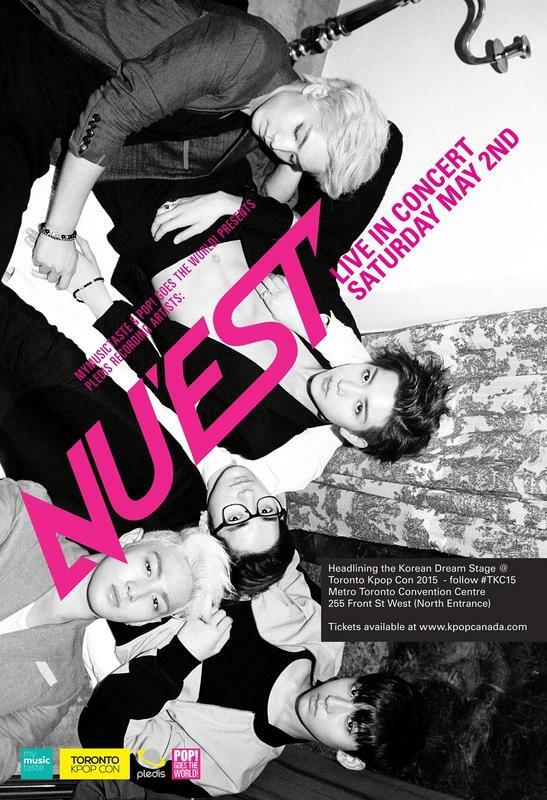 Five-member K-Pop boy group NU’EST, who recently completed their Latin America tour and Europe Tour last year, will be headlining Toronto K-Pop Con 2015‘s Korean Dream Stage this coming May. If you’re a L.O.V.E (or just a huge Korean-loving fan in general) visiting the region during that time, don’t forget to pop on by to check it out! A fan-run convention and concert, expect a full-day event filled with workshops, conference panels, fan club booths and two concert stages. First up, the Canadian Dream Stage where over 200 Canadian performers including famous YouTube personalities and dance cover groups will take the stage. Following suit would be NU’EST for the Korean Dream Stage, promising two-hours of non-stop hits and fun. Get ready to meet speakers such as famous music producer iDR (who produced for artistes like EXO, UKiss, Super Junior, Lee Hyori and NU’EST) and Henry Lau’s brother, Clinton Lau; meet MyMusicTaste’s own CJ Kim in a special Q&A session to learn more about his tour managing business for Korean idols, and get up close and personal to YouTube stars, including Shimmycocopuffsss, Gemini and MisterPopoTV! More will be added to the list, so this is definitely one huge K-Pop event not to be missed by any K-Poppers in the region. Tickets could be purchased online via Eventbee. In related news, NU’EST released their special single ‘I’m Bad’ on 27 February in light of their 3rd anniversary and it’s simply amazing! Have you heard it? Many thanks to Pop! Goes The World for providing us with the relevant details. You can find out more about the event over at their official Website, Facebook Event Page and Twitter. ← Golden Village to screen Shinhwa Live 3D The Legend Continues this March!